© 2010 by The Atlanta Journal-Constitution. (Click on the image above to read the relevant article on ajc.com.) 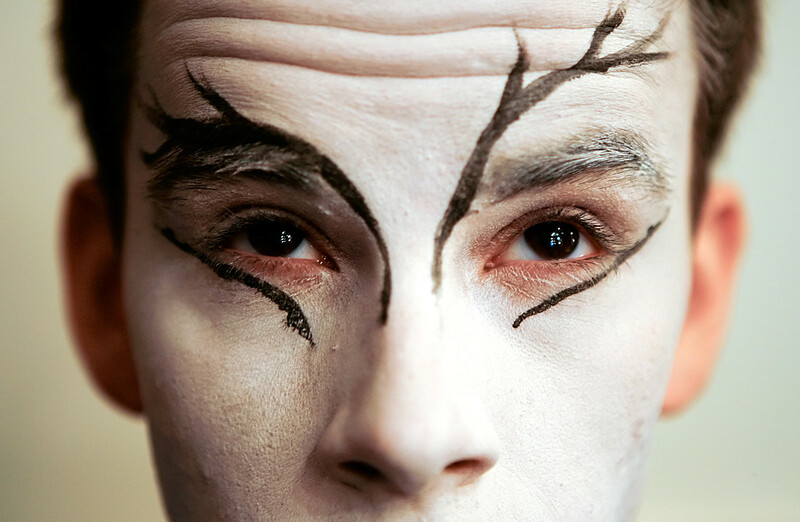 Close-up of actor Chaz Wolcott in his "Mister Mistoffelees" makeup, before hair and makeup supervisor David Hanson starts painting the nose, whiskers and mouth. © 2010 by The Atlanta Journal-Constitution. (Click on the image above to view the full photo gallery on ajc.com.) 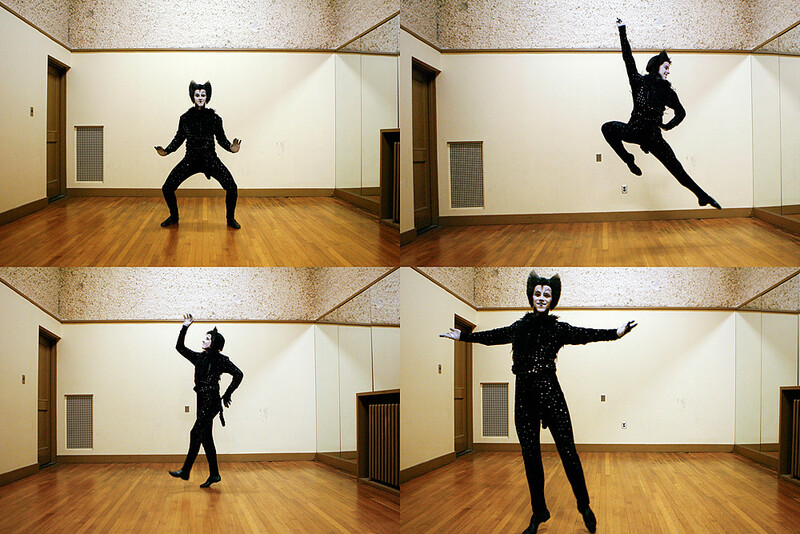 Actor Chaz Wolcott, in full "Mister Mistoffelees" costume and make-up, demonstrates a few dance moves characteristic of the central character in "Cats" the musical. Anyway. If you’re at all familiar with this 4th-longest running show in musical theatre history, you are aware of how intricate and elaborate the costumes and make-up are. 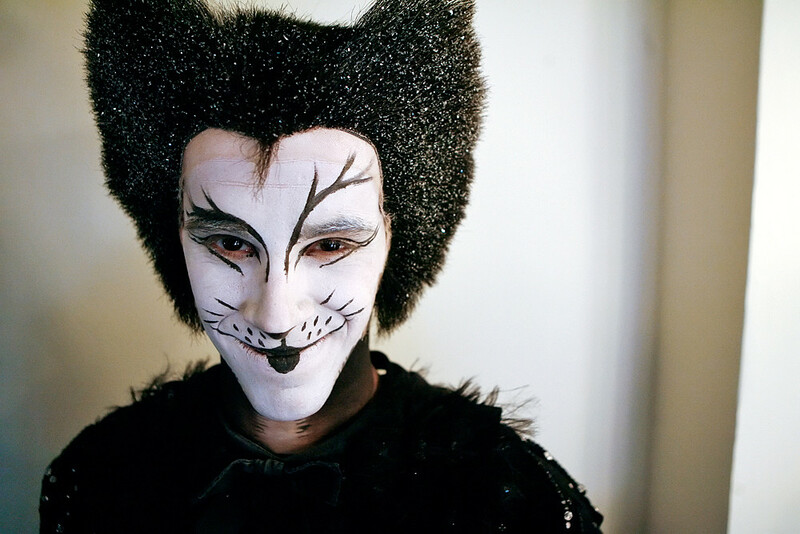 Mister Mistoffelees, a central character, happens to have one of the simpler make-up/costume designs. © 2010 by The Atlanta Journal-Constitution. (Click on the image above to view the full photo gallery on ajc.com.) Headshot of actor Chaz Wolcott, in full makeup and costume as Mister Mistoffelees -- a central character in "Cats" the musical.